100% combed cotton, High quality, Shine and oil finishing . 10 yards/color for stock item, 3000 yards/color for make to order. 4-8 days to delivery for stock item, 15-35 days for make to order. 1.When you give us your order, we confirm fabric quality, color, design, quantity, delivery date and shipping way. 2. We provide quality sample for you to confirm hand feeling and final finishing before mass production. 3.We offer clients’ label design and accept special package requirement. 4.We guarantee good products quality and fast delivery time. Photos and productionschedule will be sent to clients during the whole production process. 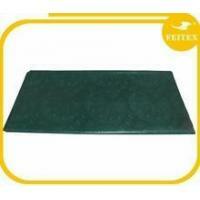 Zhuji Feiya Textile Co., Ltd. (FEITEX) is a private enterprise founded in 1994. Our company enjoys import and export rights and has been appraised as excellent credit record enterprise by local business and financial department. We mainly deals with the trade of various kinds of textile products, both semi-finished and completely finished, such as cotton fabrics, polyester-cotton blend cloths, printed cloths, jacquard fabrics, bedding sets, window curtains and tablecloths. Our company is located in Zhuji City, Zhejiang Province. One hour drive to Keqiao which is a large textile distribution centre of Asia-China Light Textile Town We are advantageous in convenient transportation, close to Hangzhou Xiaoshan International Airport and across by Hang-Jin-Qu Expressway. Our company covers a total area of 15,000 square meters. We have imported rapier looms, gripping looms (jacquard weaving) and weaving machines. We have explored the domestic and international markets actively. So our products find a good sale in many countries and regions in the world, such as the Middle East, Europe and Africa. Our company always adheres to the corporate spirit of ''taking personal as cardinal principle, quality first, running business honestly and being innovative''. Our company will establish long-term and stable relationships with customers and investors all over the world by offering high quality, low price and perfect service.